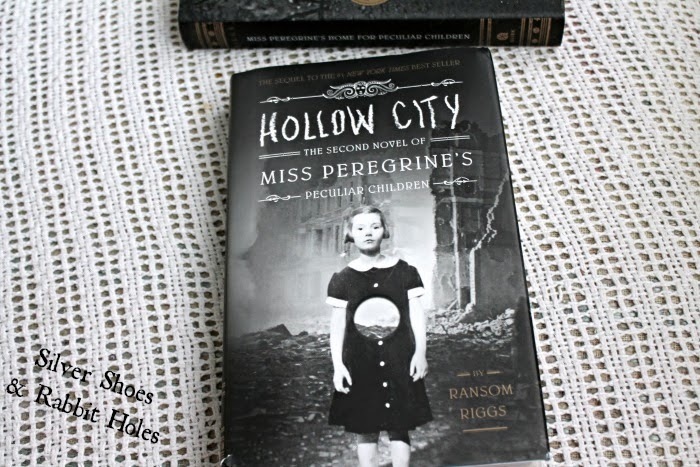 Sitting on my nightstand, waiting for its turn was Hollow City: The Second Novel of Miss Peregine's Peculiar Children by Ransom Riggs. 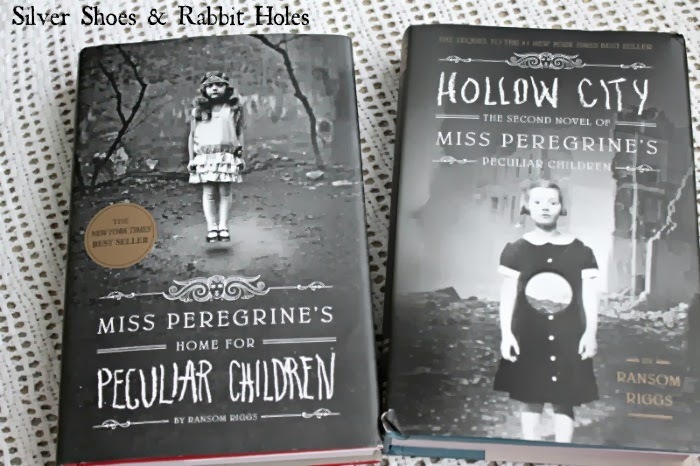 After reading Wildwood Imperium last week, trying to remember all the details of the second book in that series, I decided to re-read Miss Peregrine's Home for Peculiar Children. After all, over two years had passed since that book's publication, and I knew I would need the refresher. I'm so glad I did, and I must say, I enjoyed it even more the second time around. 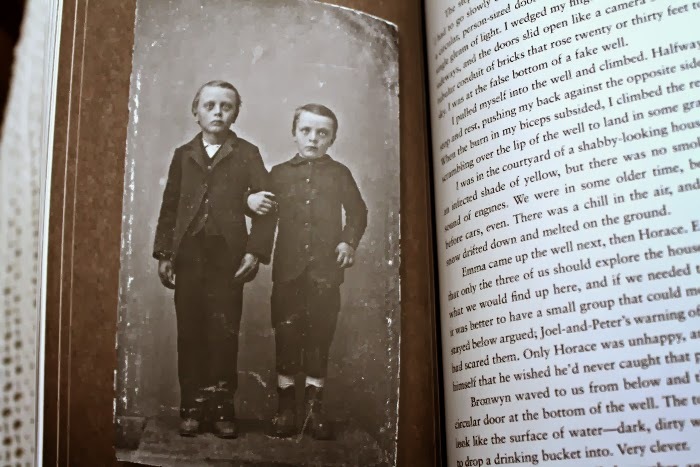 If you are not familiar with Ransom Riggs's novels, you should know that they hinge upon a rather ingenious device. 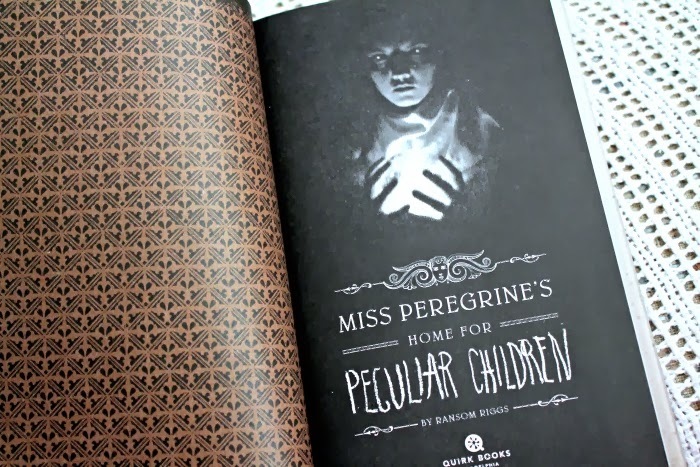 Written for a YA audience, the first book introduces us to a home for children and teens with unusual abilities or features, hidden in a time loop on a tiny Welsh island. 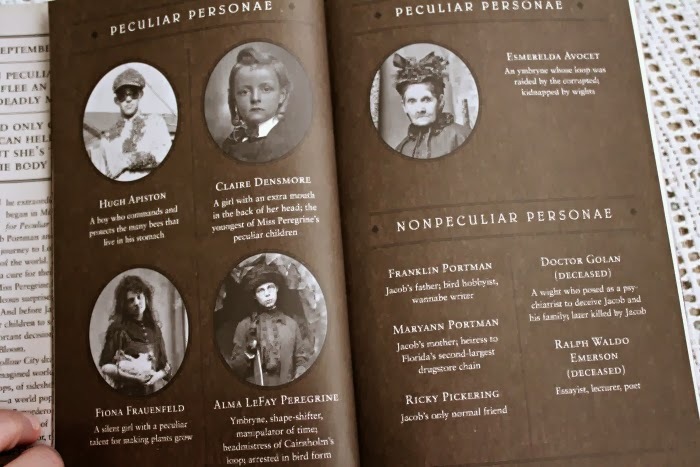 Thanks to Miss Peregrine, a caretaker who can assume the shape of a bird, the children repeat the same day, over and over, in 1940. The day ends with the bombing of the house, then resets. A teenage boy from the present, Jacob, after witnessing the violent death of his beloved grandfather in Florida, is drawn to visit the island and patch together the mystery of his grandfather's last words. 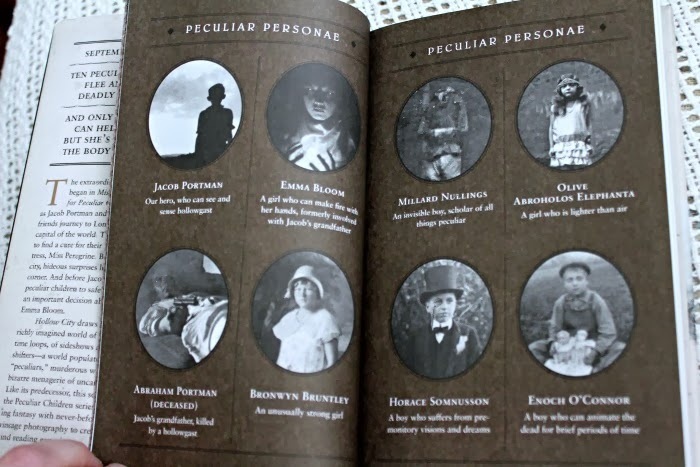 He finds himself traveling back in time through the loop, meeting Miss Peregrine and his grandfather's friends. 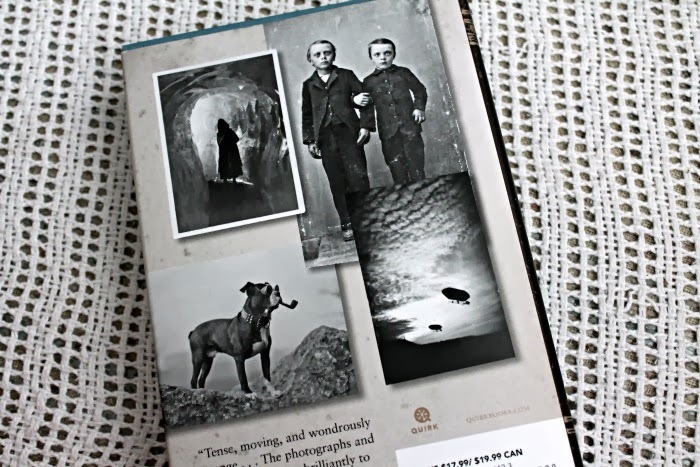 The ingenious part is that the story is illustrated throughout by "found" photographs: old snapshots collected over the years by various people. 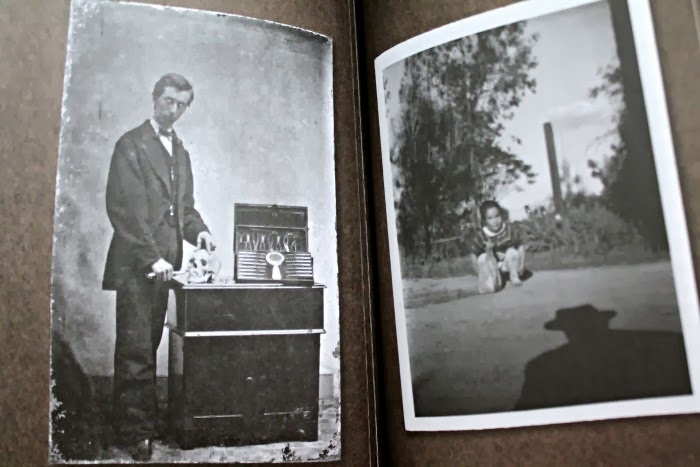 Many feature quirky or trick photography, such as the levitating child on the cover of the book. 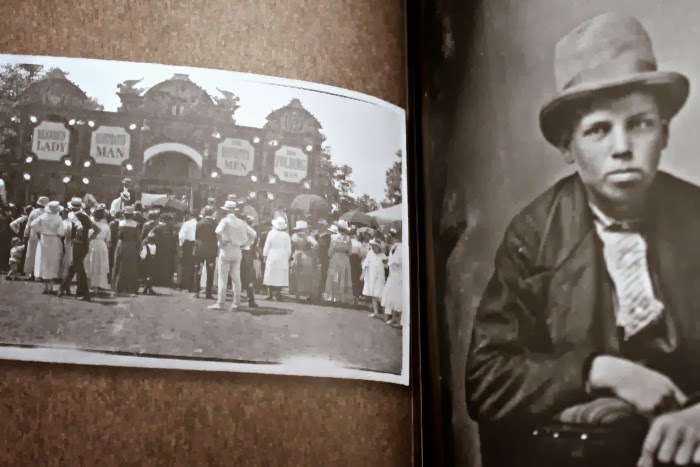 The photographs give the book a haunting quality. 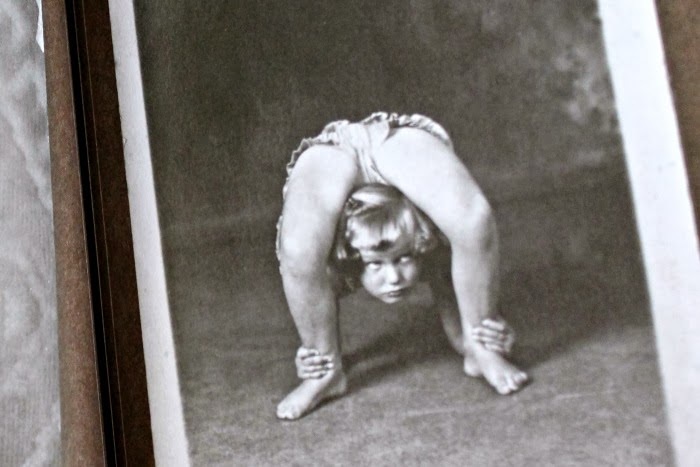 I love old photographs like these anyway, so of course, this appeals to me. 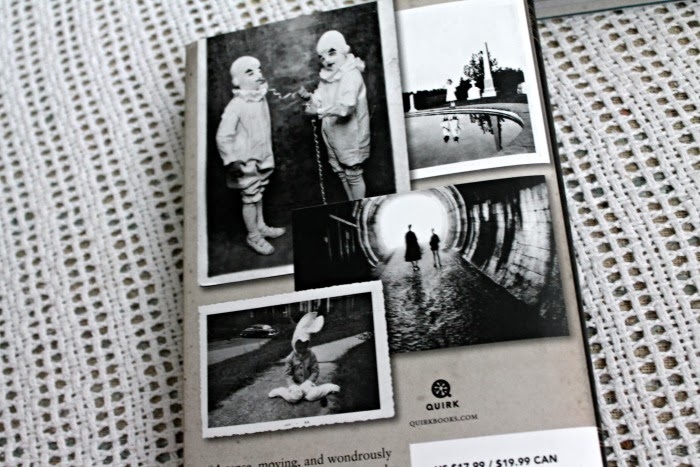 The book is tight and suspenseful, and it didn't take me very long to read it again. I was able to move on to the sequel the next day. 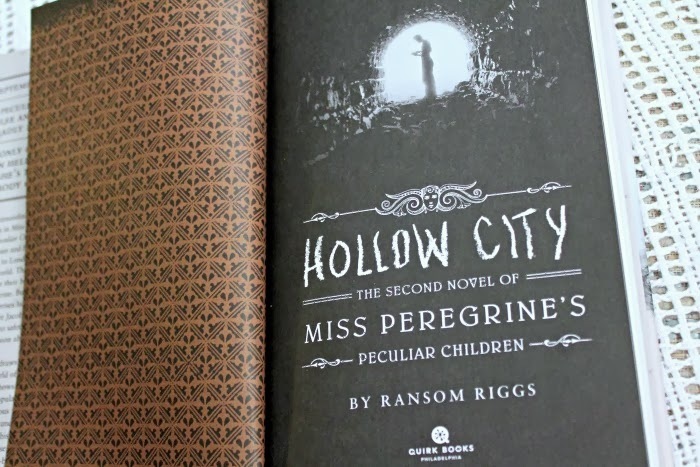 Hollow City: The Second Novel of Miss Peregrine's Peculiar Children by Ransom Riggs. 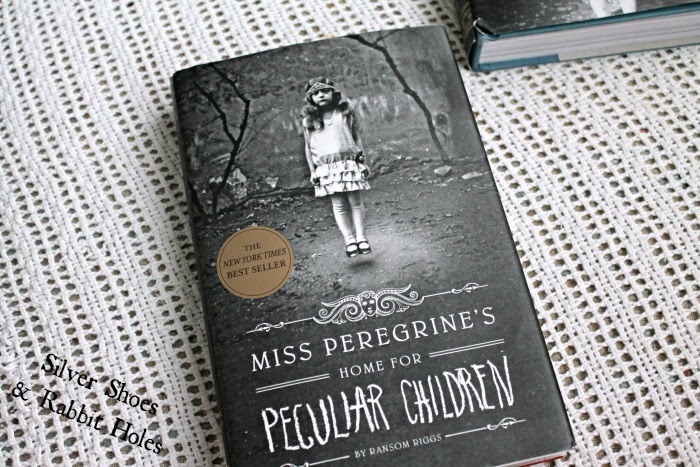 At the end of the first book, the children are forced out of the loop by the bad guys, the hollows and wights, scary creatures out to devour peculiars. Miss Peregrine is trapped in her bird form. 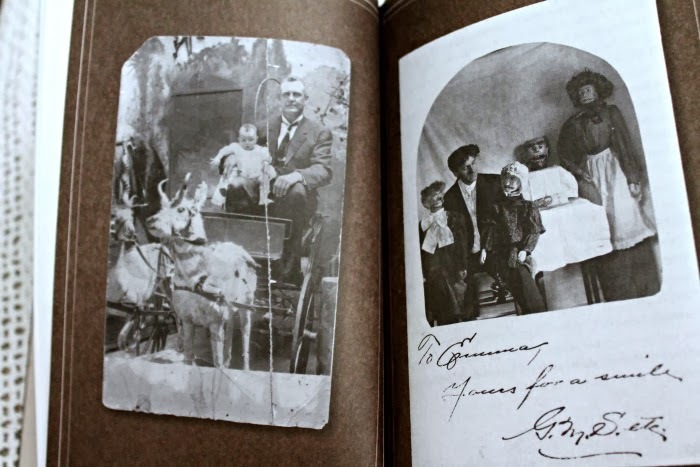 The children venture out, meeting a menagerie of peculiar animals in another loop, a band of kind Gypsies [Riggs's word, for anyone who protests the political incorrectness of the term], and assorted peculiars, in and out of time, in scary war-torn London. Now the dangers have multiplied. 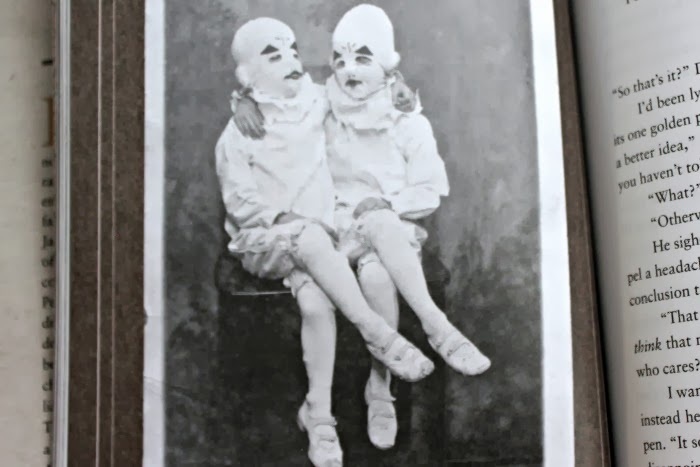 Besides being pursued by wights and hollows, the children must also survive air raids. This particular book is darker and more suspenseful, and ends with a definite cliffhanger. Here's hoping the third book in the series doesn't take as long to write! 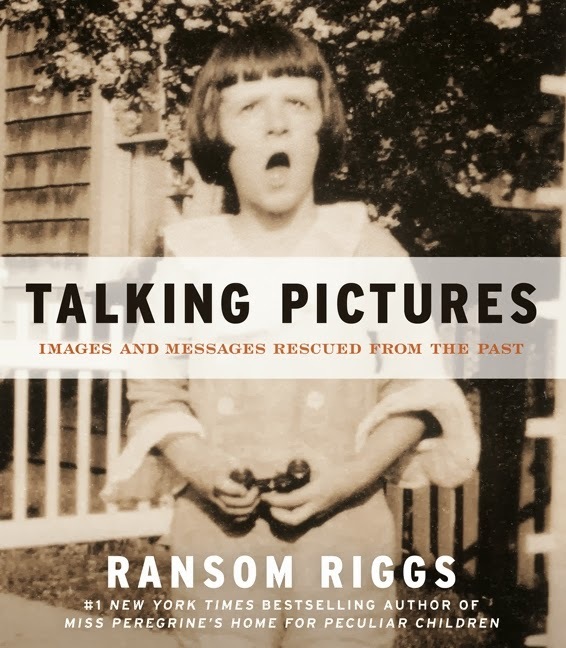 Ransom Riggs has also written a book about collecting found photographs, called Talking Pictures: Images and Messages Rescued From the Past. 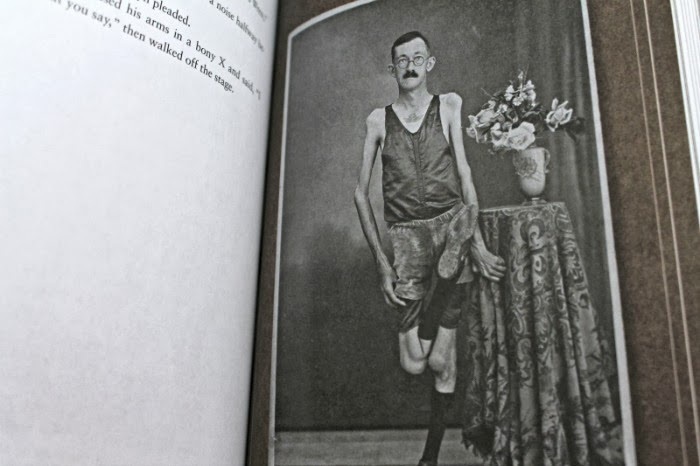 I have just placed a hold on it from the library. You can browse inside at the HarperCollins website. 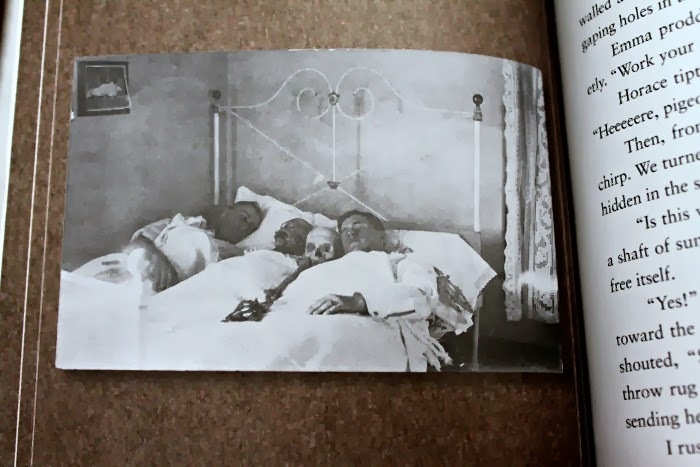 by Ransom Riggs. It Books, 2012. How have I not read this yet, HOW????? thank you, this was just the push I needed. this sounds amazing, all the things i like, YA ish, twilighty zone, british setting and even some time travel esque biz to boot??? I gotta get on this one, like, yesterday! brilliant review! YES. You need to read them. Now. It's great! But be prepared - it leaves you hanging!!! !